NOW – Original OB Rags Available – far out, man! We are so very proud to announce that copies of the original right-on OB Rag are now available through this blog. Not all issues of the alternative paper – which ran for five fired-up long years – are left. Many of the freaky first year’s issues are lost – gone, baby, forever, and there’s just a few copies remaining of numerous issues. 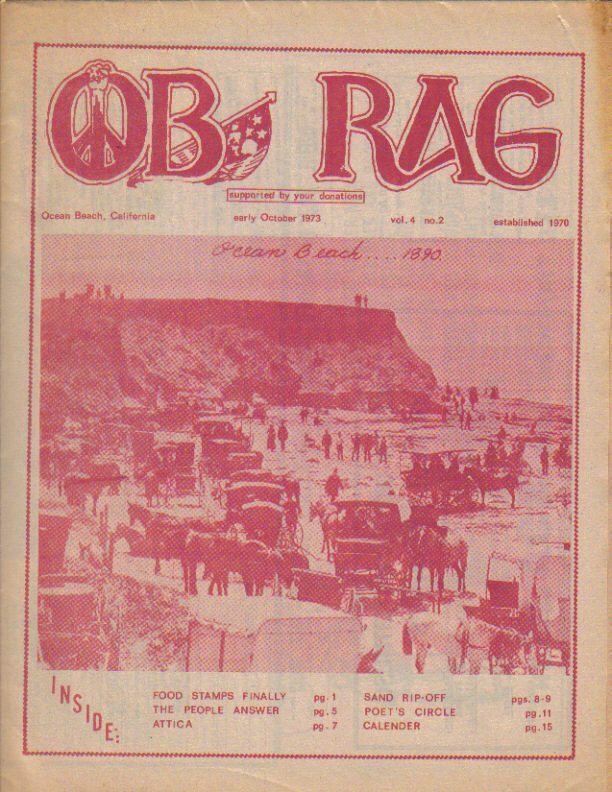 So, like, check out the groovy page – “OB Rags Available” here, decide you want to, like both update and complete your valuable collection of the radical Rags in hard copies plus contribute to the current OB Rag – the blog, dude. Yes, we have expenses. And, like, I’ll personally guarantee all delivery, man. So Do it!